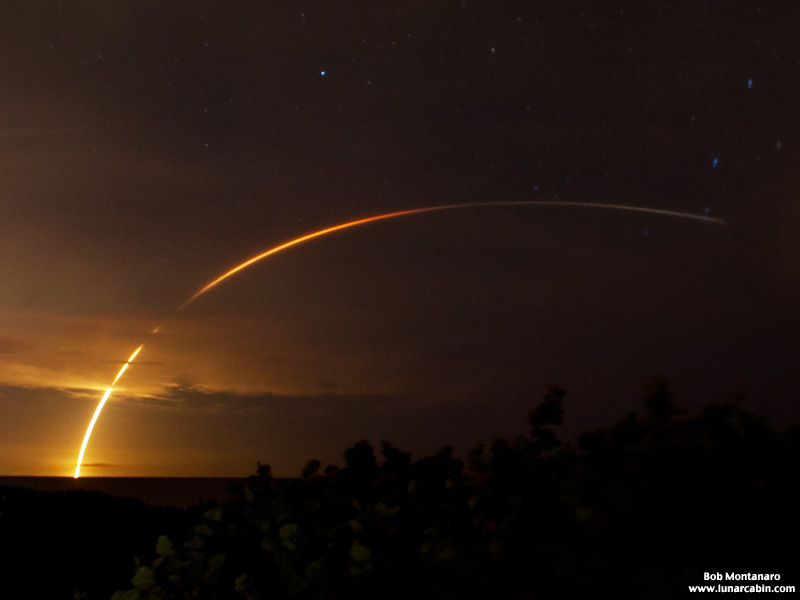 A United Launch Alliance (ULA) Atlas V rocket lifts the Global Positioning System 2F-7 satellite into orbit from Space Launch Complex 41 at Cape Canaveral Air Force Station at 11:23 p.m. on 1 August 2014. This long time exposure taken under dark skies shows the rocket streaking up through the clouds and out over the Atlantic Ocean. The ULA team is proud to be the launch provider for the U.S. Air Force (USAF) Global Positioning System (GPS) Directorate by delivering replenishment satellites aboard Atlas V and Delta IV launch vehicles. GPS IIF-7 is one of the next generation GPS satellites, incorporating various improvements to provide greater accuracy, increased signals, and enhanced performance for users. The GPS IIF series have a design life of 12 years. With the proper equipment, users can receive these signals to calculate time, location, and velocity. The signals are so accurate that time can be measured to within a millionth of a second, velocity within a fraction of a mile per hour, and location to within feet. Receivers have been developed for use in aircraft, ships, land vehicles, and to hand carry. Military signal “M-code” and variable power for better resistance to jamming hostile environments, meeting the needs of emerging doctrines of navigation warfare.